This is the third article in the medical education series focusing on Nearpod. The previous first and second articles have focused on preparing a presentation and then maximizing teaching using the interactive features. This article will focus on utilizing the analytic features offered by Nearpod to maximize learning. 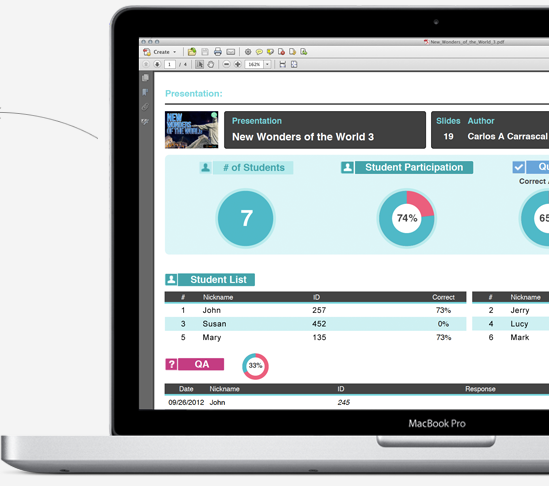 In order to access any past session teaching report, the user needs to log into Nearpod.com and click on the assess tab. Presentations recently given are available and listed. 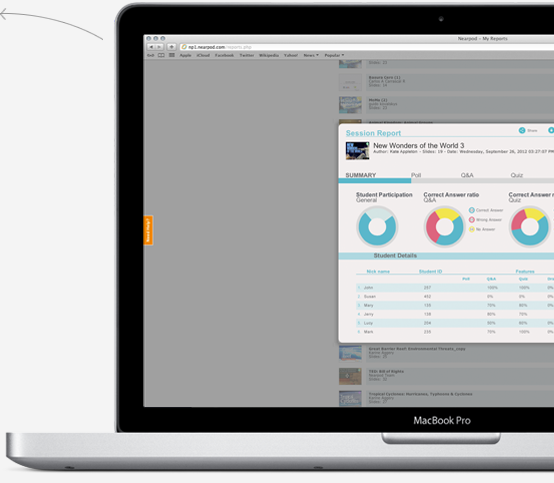 Accessing the reports is as simple as tapping on a specific presentation. This brings the user to a summary page showing general student participation and also how many answers were correct/incorrect or not answered. This at a glance view also shows the details of the individual students and their score for each of the individual interactive sessions. Each interactive element has its own tab available which shows the individual question as well as the student’s response. This can be used to identify areas of difficulty or poor understanding. It is also possible to download the overall session results in PDF format or as a CSV file. Reports can also be shared via email. Presentations lose other media: Presentations that contain videos or integrated web links will lose their functionality when uploaded to Nearpod. These can be reinserted via the interactive features, however, this can be time consuming. Maximum user limit of 200: this is only a limitation when dealing with particularly large class sizes. For those in medical schools with programs to give medical students mobile devices, this might be a limitation. Despite these limitations and barriers, Nearpod is still one of the leading and best cross-platform educational tools available for mobile devices. The ability to add interactive content to existing presentations and potentially improve student engagement is attractive. The rise of mobile devices in medical education and interactive content is an exciting and as yet untested paradigm. Thus, it is up to innovative medical educators to take advantage of the features and advantages that Nearpod can offer to students. There may well be problems initially; however, it is clear we are moving beyond the realms of a simple static presentation and Nearpod currently offers the best step forward in this regard. Are you a medical educator or teacher? Let us know how you get on with Nearpod in the comments. Tom, thanks a lot for all these articles about Nearpod and Medical Ed. This is an amazing way to use the platform. Please note that we have made a few updates to our app since January 🙂 Now you can easily edit Nearpod presentations without having to clone them first . . . and mobile Content Creation Tool is being built right now! 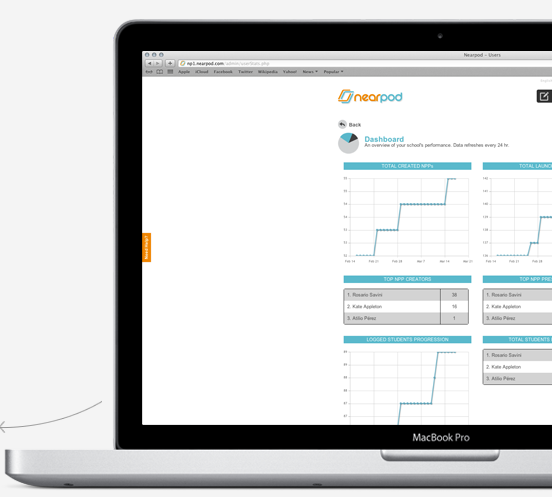 Hope you keep enjoying Nearpod, please feel free to follow this stream for more updates: near.tips/new.